Sydney Trolleys | Rotacaster | Semi-pneumatic Wheels, Fallshaw Wheels, Rubber Wheels & Brake Castors. 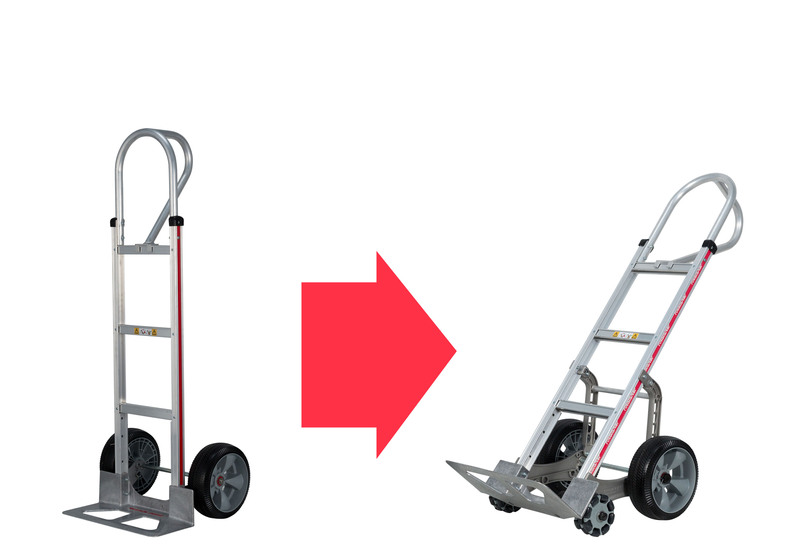 The Rotatruck, a self-supporting hand truck, improves productivity, reduces costs and the risk of injuries. Rotacasters ergonomic materials handling equipment provides easier, quicker and safer movement of various loads. Improves workplace safety, reduces costs and enhances productivity. Reduced fatigue and risk of strain injuries. Increased ease of handling and transporting speed. Fully supports the load and leaves hands free. Doesn't require blancing or pull back. Levers a load rather than lifts it. 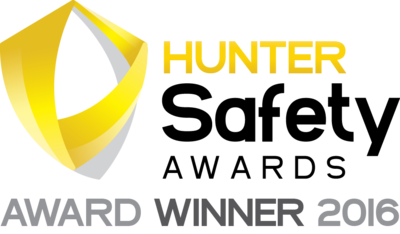 Rotatrucks were awarded as the 'Most Innovative WHS Idea (SME)' with the Hunter Safety Award in March 16. 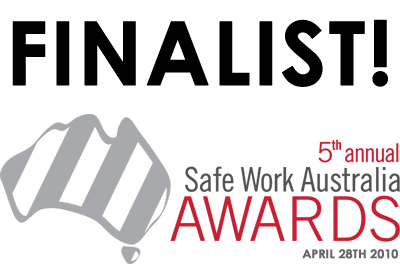 Rotacaster won the category 'Best solution to an identified workplace health and safety issue' by NSW Work Cover Safe Work Award in 2009. 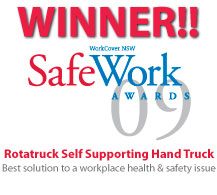 Rotatrucks specifically address issues of traditional hand truck use that often results in workplace injury. The Rotatruck improves productivity, reduces costs and the risk of injuries. Rotacasters ergonomic materials handling equipment provides easier, quicker and safer movement of various loads. What type of trolley are you interested in?